a CD and 2 Books of Christmas Stories and Plays! OF ALL THE CREATIVE PROJECTS I’VE worked on over the years, I think these three may be the closest to my heart. No matter what your denominational upbringing, there’s something special to a musician about making a Christmas Album — it’s a chance to connect with the better angels of our nature, a chance to make music that reaches some sort of ethereal dimension, a chance to re-live the excitement you first experienced hearing Elvis’ Blue Christmas, Bobby Helms’ Jingle Bell Rock, Charles Brown’s Merry Christmas, Baby and (be honest now) The Chipmunks’ Christmas Don’t Be Late. I was very lucky a few years back to be invited by two outstanding Pittsburgh musicians, George Balderose and Ernie Hawkins to join them on some Yuletide tracks. What a unique aural concept: Scots bagpipes, country blues guitar, Irish tin whistle interpreting the traditional holiday song canon! We added the jazz/gospel keyboardist T.H. Gillespie for tasteful fills and texture, and the result was A Celtic Christmas — 55 minutes of exquisite Christmas music played with a lot of Celtic soul. 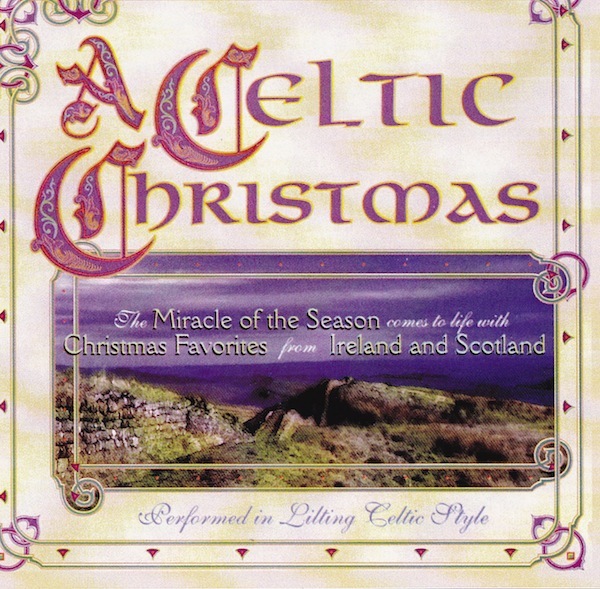 We’ve re-issued the original disc and A Celtic Christmas is now available right here. Check it out. Non-habit-forming stress relief to make you feel good, relaxed and hopeful about the New Year. Four top traditional musicians blend their talents to produce a unique recording of Christmas standards and Irish-Scots folk favorites. Featured are Scots bagpipe virtuoso George Balderose, ragtime guitar legend Ernie Hawkins, Irish tinwhistle master L.E. McCullough and jazz keyboard ace T.H. Gillespie. The result — a warm, gentle garland of Yuletide and Irish & Scots tunes guaranteed to drive the winter chill from your door! For information about Pages of History, Inc. and our mission of providing educational film and theatre, click here. “A lot of CDs promise Celtic, but few deliver such an authentic and enchanting experience as A Celtic Christmas. The rich acoustic textures and pleasant musicality of these arrangements quickly warmed me up to the virtues of this record. “Featuring a tremendously talented group of contemporary folk musicians, A Celtic Christmas resonates with the sounds of the British Isles. “George Balderose’s fine work on bagpipes lays down the Scottish base for a catchy instrumental quartet. L.E. McCullough contributes a hint of Irish spring with his tin whistle. T.H. Gillespie adds beautifully traditional percussive sensibilities, and Ernie Hawkins knits these brilliant threads into a beautiful Celtic fabric with his strong, but relatively understated work on guitar. Hey, what about those two books on Christmas songs?